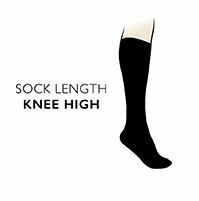 For travel, work or just for tired daily legs, Falke Strong Leg Energizer Compression Socks, with their circulation-encouraging graduated compression and high cotton content for extra gentleness and breathability can make the going so much easier, and lighter on weary legs. The vitalising effects of Falke Medium Leg Energizer Compression Socks can be felt while sitting, standing and walking, or during long trips and long-haul flights, but without restricting movement or uncomfortable tightness. They have built-in wrinkle resistance, seam-free toes and a right/left shape for perfect fit.